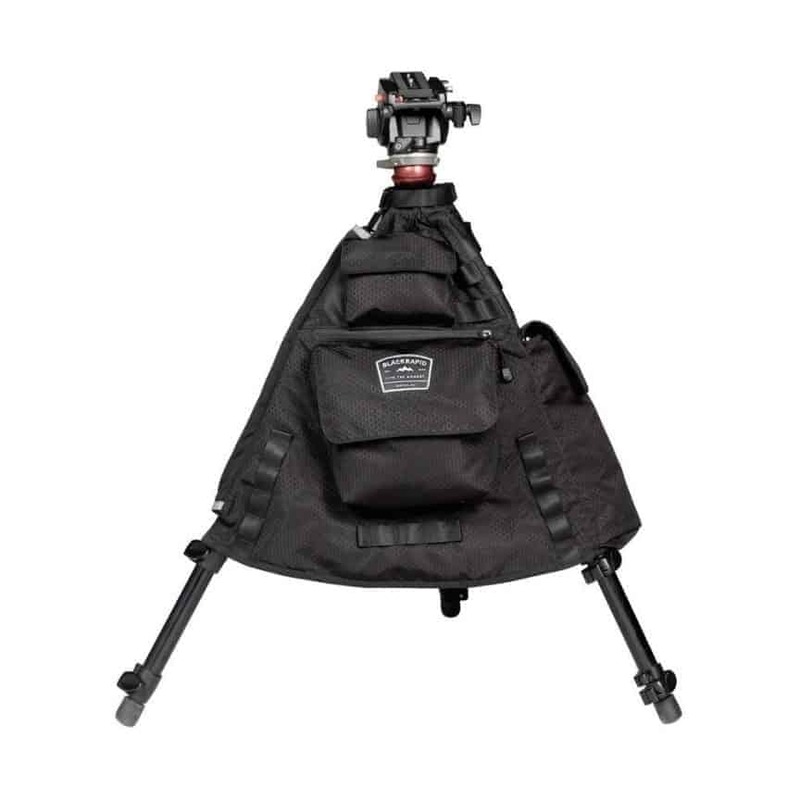 I have been writing articles for Improve Photography for almost 3 years and, during that time, I have tested dozens of camera bags and camera straps, but I have never seen anything like the Tripod Jacket from Black Rapid. 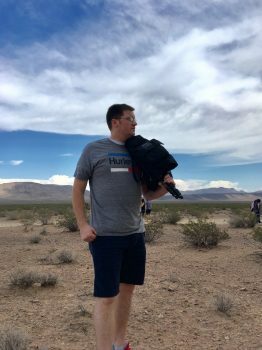 Last Spring, I was testing out one of my favorite straps from Black Rapid for this review when they contacted me about an interesting new product-the Tripod Jacket. The Tripod Jacket wraps around your tripod with pockets to carry a bunch of gear, while still allowing you full use of your tripod. Basically, it takes your gear out of a backpack and puts it on a tripod. The reason I was interested in the Tripod Jacket is because there are a lot of times I am shooting where I don’t want to have a backpack. Some of these times are when I am driving long distance and want to be able to pull off and shoot from the roadside, or when I am driving to one single location to shoot where there isn’t much hiking or anything involved. In these situations, I wanted to see how the Tripod Jacket would work to have all the gear I want to shoot with accessible on my tripod so I could just hop out and start shooting without carrying a backpack and without needing to run back and forth to my car to change lenses or add filters and so forth. The Tripod Jacket is almost like a big piece of fabric that wraps around the neck of your tripod and then has a pocket for each leg. On this piece of fabric, there are three large pockets, one small pocket and one zippered tablet pocket. 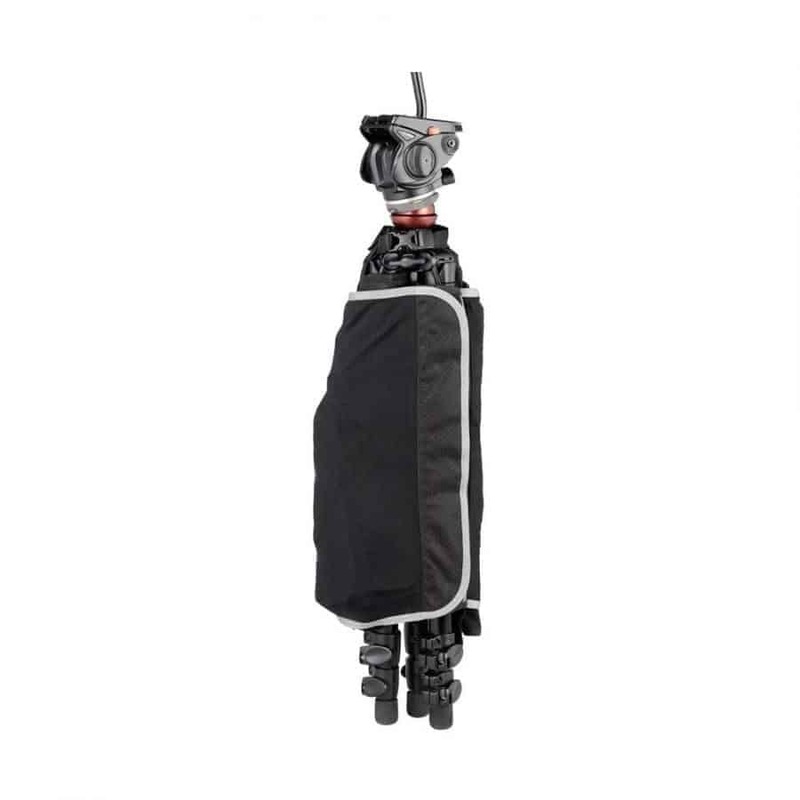 One of the pockets is specifically designed as a lens pocket to carry most 24-70 lenses. Another pocket is specifically designed to fit a strobe. Of course, you can use the pockets to store whatever you want though. The Tripod Jacket also has several nylon webbing loops where you can attach additional items. As you would expect from a Black Rapid product, the build quality on the Tripod Jacket is excellent. The fabric is 100% honeycomb rip-stop fabric that feels both very durable and weather resistant. I have no fear using this is dusty, rocky or rainy conditions. I also don't worry about it wearing our or getting damaged easily. I am not always the smartest person. I didn’t look at how to set up the Tripod Jacket before I loaded it with gear and threw it in my car for a weekend trip. I was in Saint George, Utah at a shooting location before I first tried to actually put the jacket on my tripod. Unfortunately, there was more to it than I expected. I made it to my hotel that night and looked up the video at Black Rapid. Once I actually looked at how to set it up. It went a lot smoother. You should have your tripod set up to start. Then wrap the Jacket around the legs of the tripod and fasten the top around the neck of your tripod. From there, you take each end of the jacket and wrap them around a tripod leg and tuck it in so you can velcro it. On the final leg, there is a velcro strap under the jacket that you can use to wrap the leg. You then want to tuck the mesh away into the pocket. Finally, tighten the fastener again around the neck as tight as you can. From there, just fill the pockets with whatever you want. When you aren't using the tripod and pockets on the jacket, just wrap the nylon mesh around the whole thing and seal it. My first experience with the Tripod Jacket where I wasn't prepared was not a good one. I didn’t have the jacket tight enough around the legs or the neck of my tripod and it was slipping all over the place. I was also using a smaller travel tripod from Oben whose legs were barely longer than the jacket. This meant I couldn’t access my twist knobs easily to adjust the height of the tripod. While it would have been easy to give up on the Tripod Jacket after that experience, I never review a product before I have used it for a good amount of time before I write a review. After that first experience, I took the time to watch the video on how to set up the jacket and I tried it on some bigger tripods. I also used it on the same tripod with the legs extended out a few inches so all the twist knobs were always easily accessible. 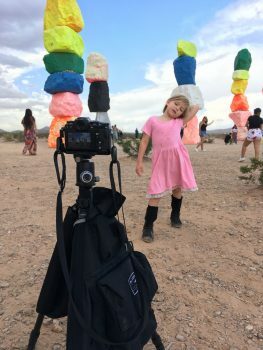 Through additional use, the Tripod Jacket became much easier to use and I have really enjoyed it for certain situations. The Tripod Jacket is not going to be my permanent gear bag. I will not use the jacket when I am going to be doing any hiking or when I am going on a long trip and want more versatility. I won't be taking it on any airplanes in the foreseeable future. However, the Tripod Jacket is definitely going to be a well-used piece of gear in my photography. The Tripod Jacket is awesome for occasions where I expected I would use it-those times where you want extra gear, but don’t want to carry a backpack.. It is great to hold a spare lens, spare battery, remote trigger and filters–all the stuff I like to have when I am shooting. The times where I use the jacket the most are when I am driving in the car and want to have my camera on the tripod in the passenger seat so I can pop out and shoot scenes along the way. I have always done this, and then ran back to my car if I wanted a different lens or filter and so on. Having all that on my tripod when I get out of the car to explore is so much nicer than having to take a backpack out of the car with me or run back whenever I want to change something. The other time I use the Tripod Jacket a lot is when I am going to one specific location to shoot on a tripod. 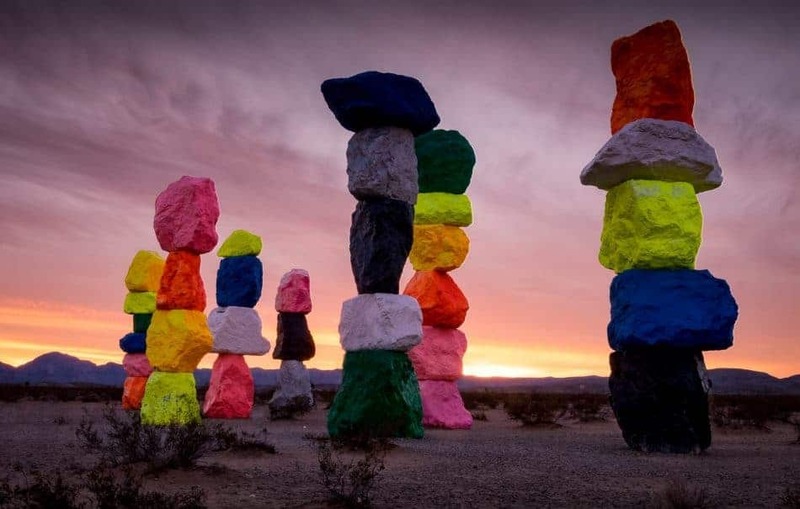 For example, I might be going out at night to catch a shot from one location of the Las Vegas Strip, setting up for a while to do some astrophotography, or I might be taking my kids to play at the Seven Magic Mountains where I can set up my camera to do a long exposure shot to get rid of the crowds. In these situations it is nice to just have my camera and tripod without a backpack. The only downside is the tripod gets a bit bulky with all the pockets filled and isn’t the easiest to carry. I would have loved for the tripod jacket to come with some kind of shoulder strap just to make carrying easier. If you think the Black Rapid Tripod Jacket will fit your shooting style, you can get it on Amazon or from Black Rapid. If you prefer ordering directly from Black Rapid, use the cod BRIPSAVE10 to get 10% off.